Prostate Take Care delivers multiple prostate-supportive ingredients, including supercritical Saw Palmetto, to provide multiple prostate benefits. 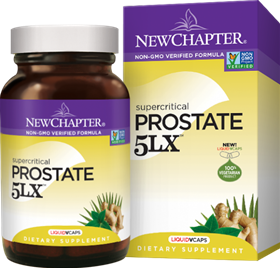 These benefits include helping to support normal urine flow, supporting a healthy antioxidant response, and supporting overall prostate health. Prostate Take Care delivers a comprehensive prostate formula to help support quality of life. Prostate Take Care combines multiple prostate-supportive phytonutrients, including dual extracts of Nettle and supercritical Saw Palmetto. Prostate Take Care delivers specific reverd herbs that help maintain normal urine flow function. Whole-food complexed Selenium, with complementary benefits from Rosemary and Green Tea, supports a healthy antioxidant response in the whole body, including the prostate. Other Ingredients: Extra-virgin olive oil, hypromellose (capsule), maltodextrin,organic yellow beeswax, candelilla wax, culture media (organic gum acacia, organic soy flour, organic Saccharomyces cerevisiae [active and inactive], lactic acid bacteria [L. acidophilus, B. bifidum, L. rhamnosus], papain [deactivated] and bromelain [deactivated]), magnesium carbonate, sunflower oil and silicon dioxide.